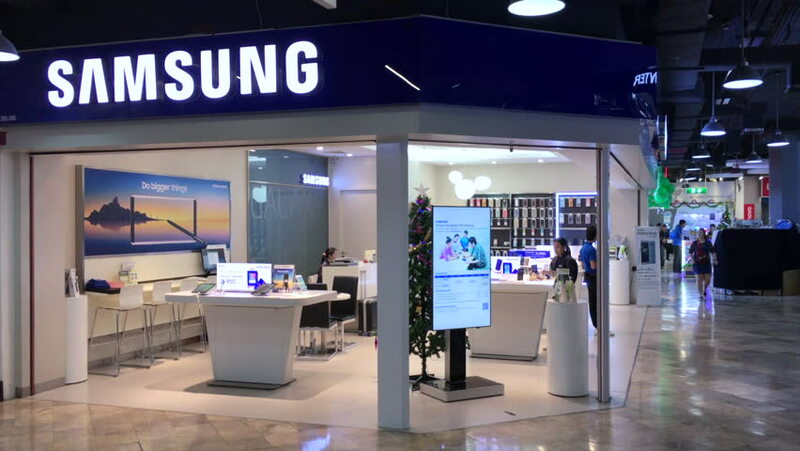 BANGKOK - DEC 2017: Samsung store in the Pantip Plaza mall. Since 1990 Samsung has increasingly globalized its activities and electronics. As of 2017, Samsung has the 6th highest global brand value. 4k00:15DUBAI - UAE - JANUARY 28 2017: night time famous dubai mall interior hall circle panorama 4k circa january 28 2017 dubai, united arab emirates. hd00:08KUALA LUMPUR, MALAYSIA - JUNE 22, 2015: People at the KLIA airport in Kuala Lumpur, Malaysia. KLIA features a number of modern design features that assist in the efficient operation of the airport. hd00:11KUALA LUMPUR, MALAYSIA - CIRCA FEB 2014: Sony center store at Low Yat Plaza. 4k00:21AUCKLAND, NEW ZEALAND - SEPTEMBER 9, 2018:Passengers walking inside Auckland International Airport.It's the largest and busiest airport in New Zealand with several brand name and duty free shops. 4k00:13HELSINKI, FINLAND - NOVEMBER 22, 2017: Visitors at the Finnish pavilion Visit Lahti to large international fair of travel agencies Matka Nordic Travel Fair 17 in Expocentre Messukeskus.